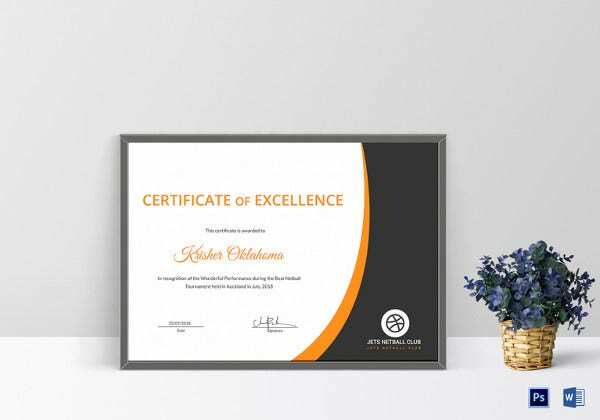 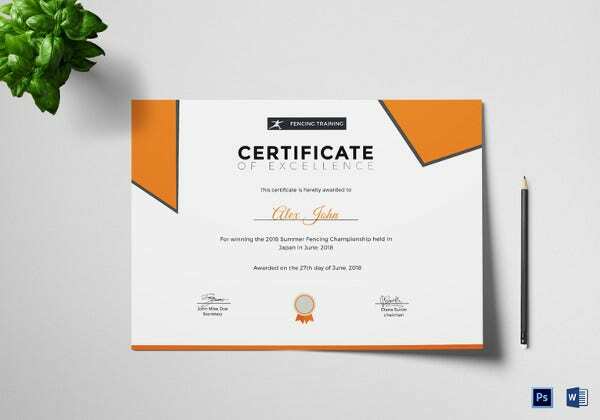 May it be an individual or a group, every achievements and outstanding performance either in their profession or duty, excellence certificate is the tool that can give them the initial credit for their hard work and achievements. 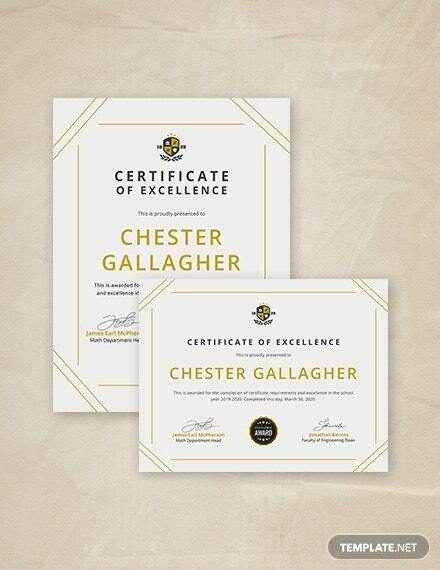 You can highlight the recognition that a person has attained and their roles as an exemplary to other people. 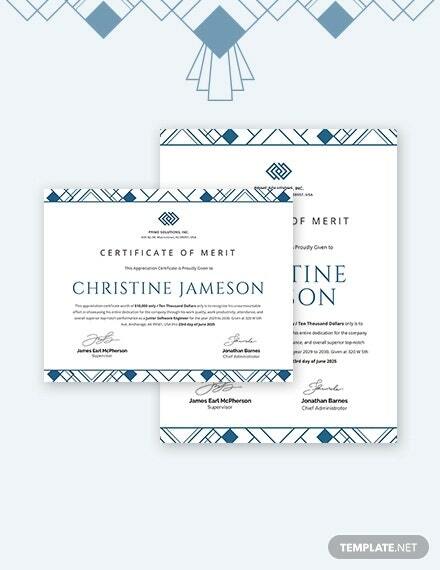 The fonts can be adjusted in their size with additional designs to make a worthy document to be displayed or be proud to shown to other people. 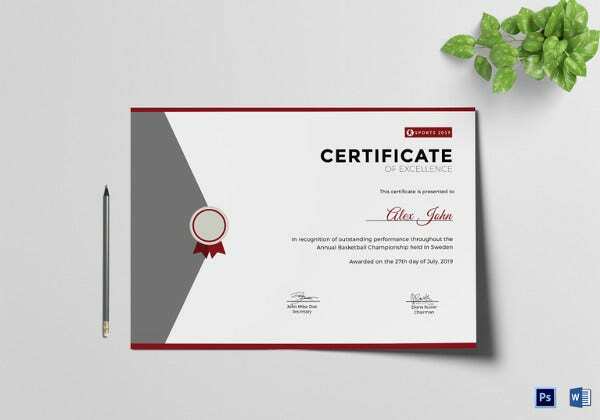 You may also see the Sample Certificate Template. 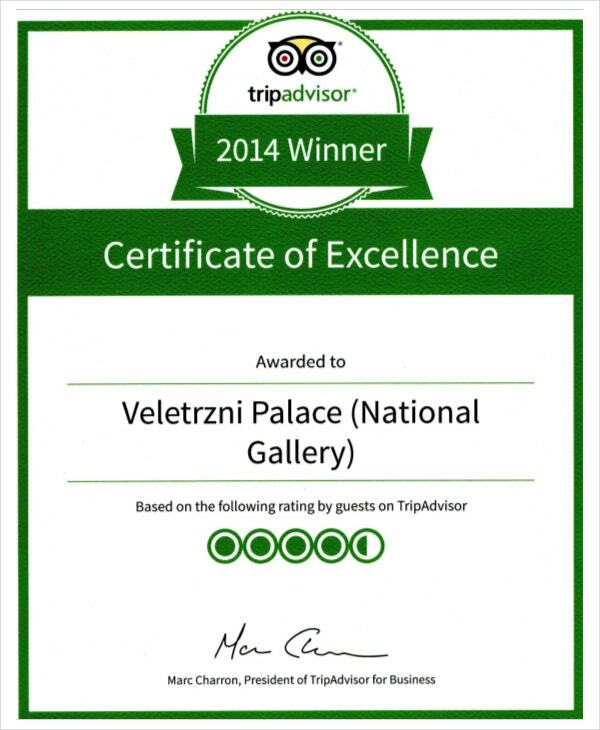 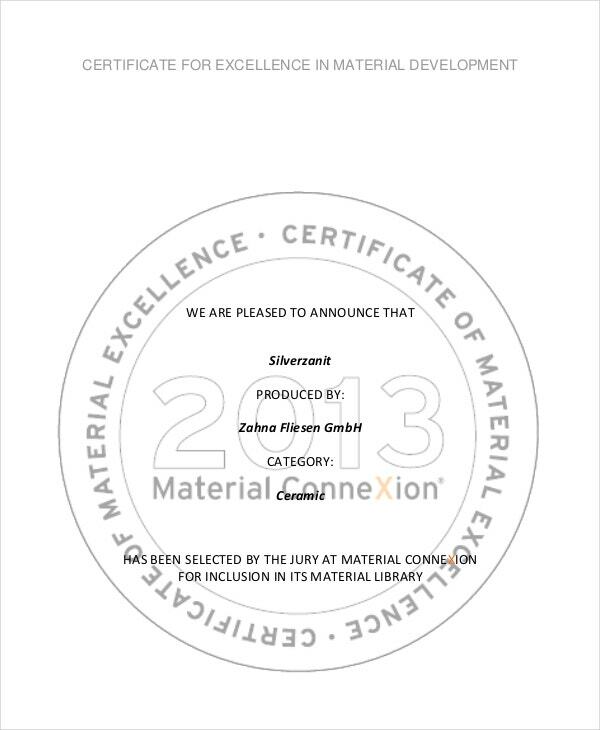 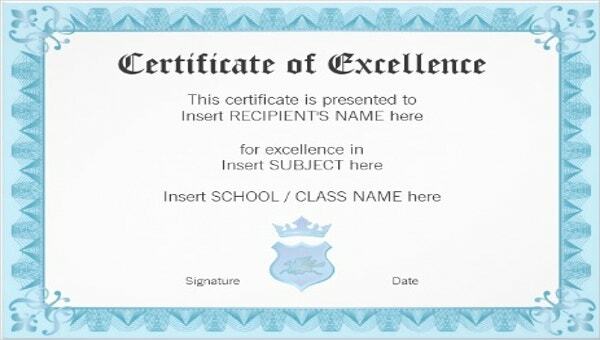 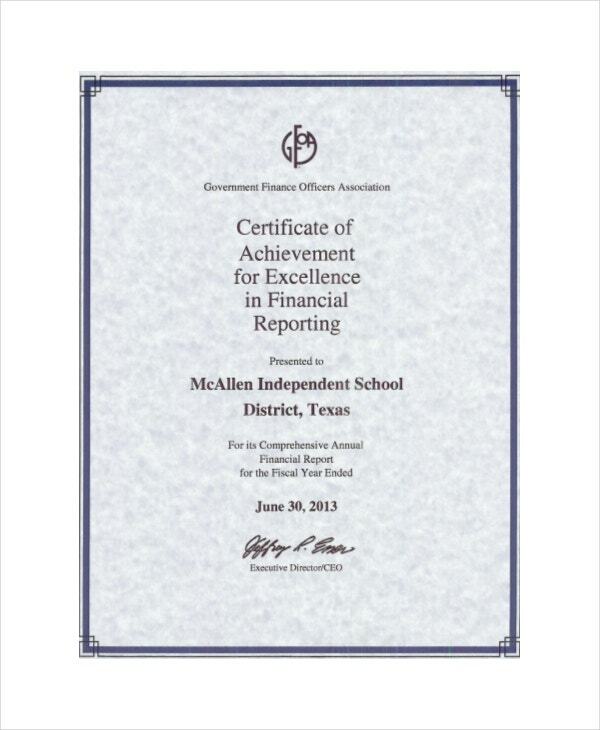 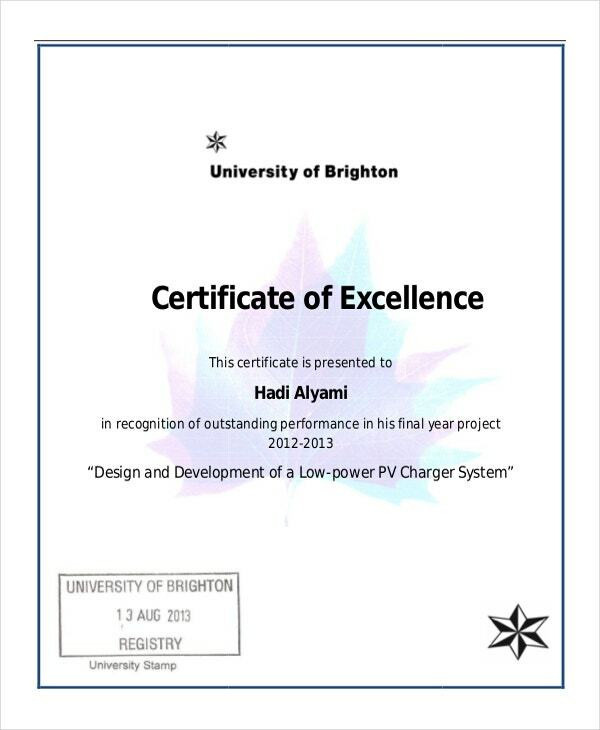 These certificates are used to the present attendee to a person of a school, business, factory or home. 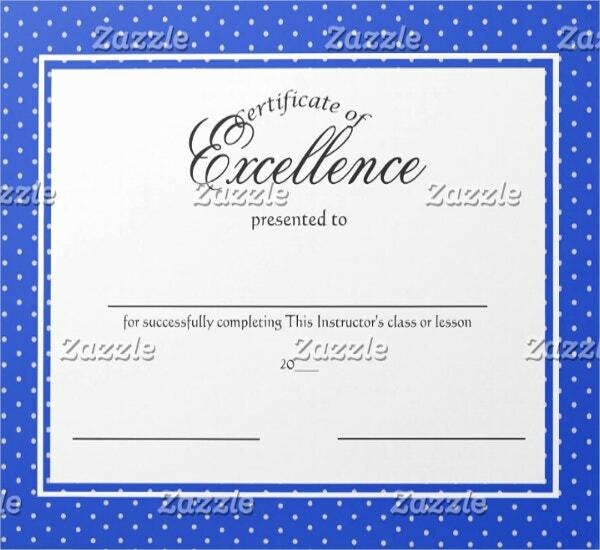 It shows as a record to have been present for the classes or activity and is been appreciated for the performance. 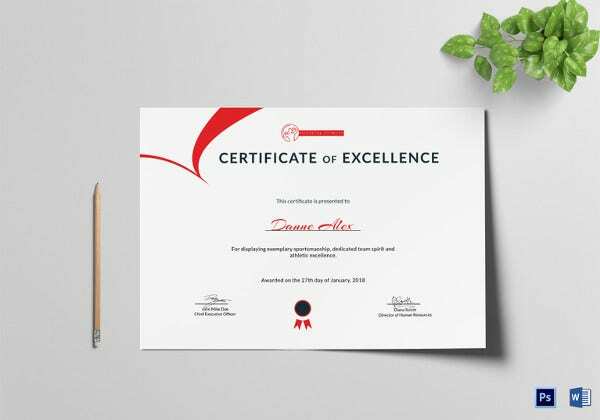 The certificate can be further used as a proof for some legal activities that the person was present and had great skills to participate in the activity. 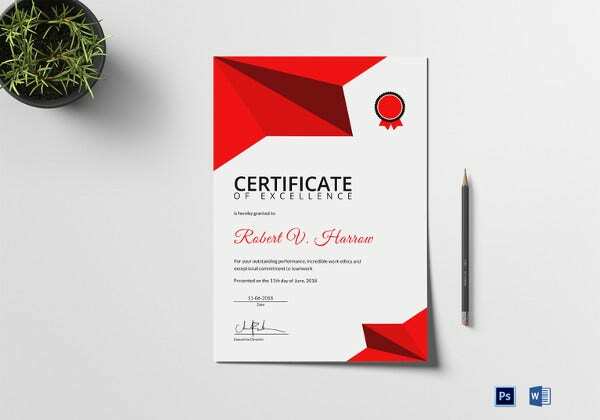 This document or certificate acts as a record to the further verification and enhances the profile of an individual. 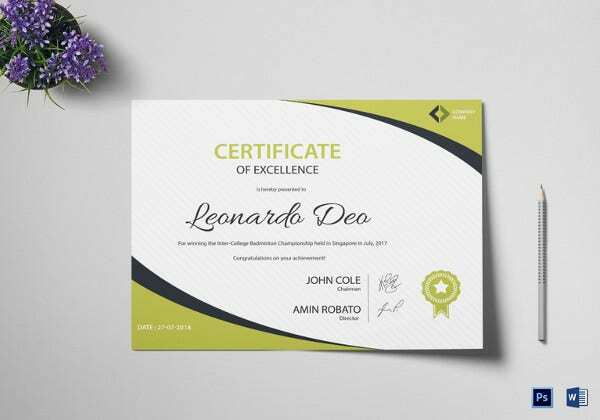 It includes, the name of the participant, activity name and date and a remark if needed. 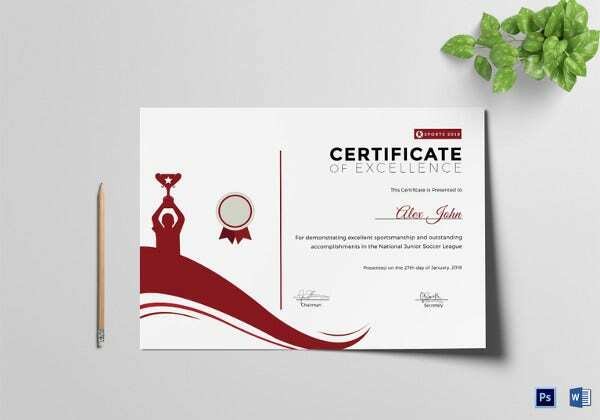 There are many variety of templates available for free downloading and customization. 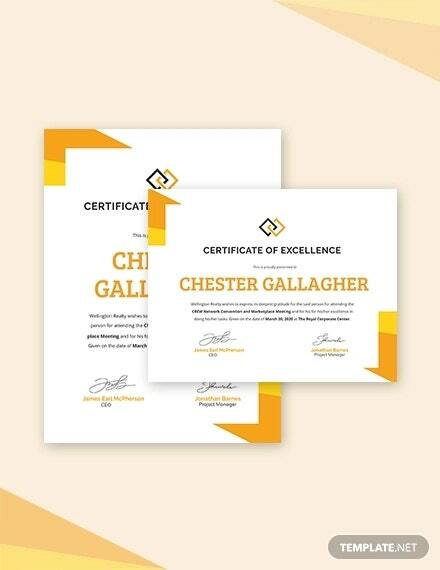 With the customized tools you can change the title and inside fields, designs like border and background. 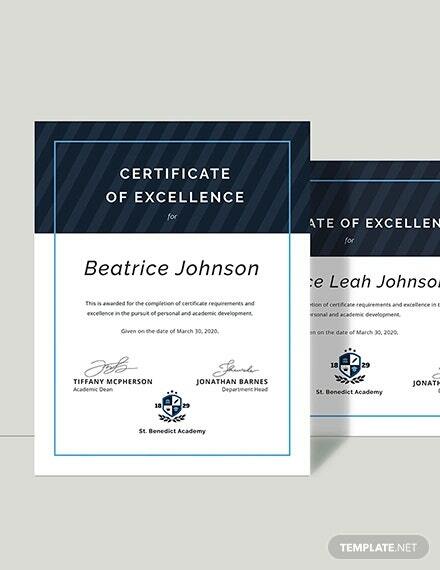 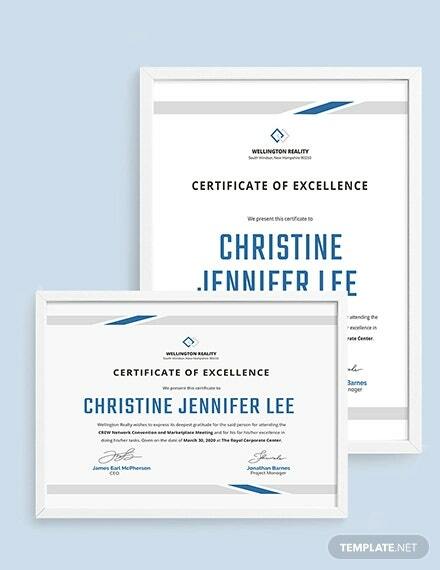 Make each certificate unique with customization and easy printable. 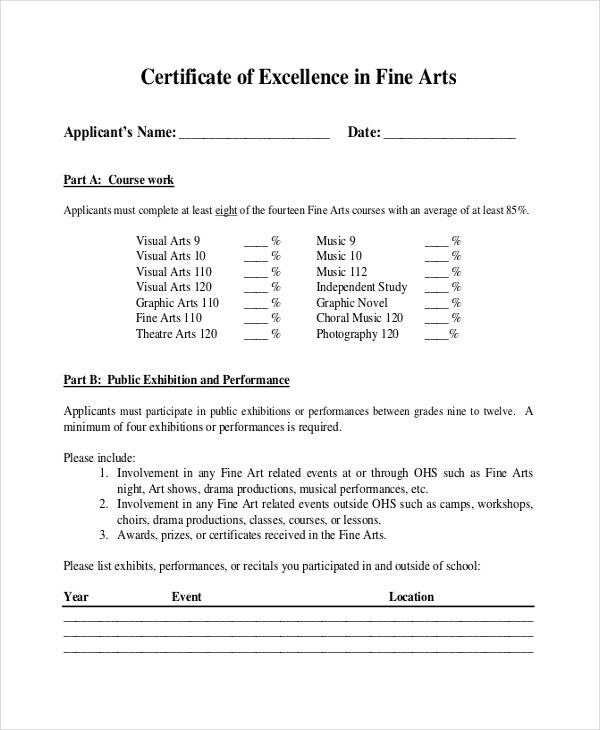 The templates downloaded can be saved for the life time and much number of changes can be carried on the same template. 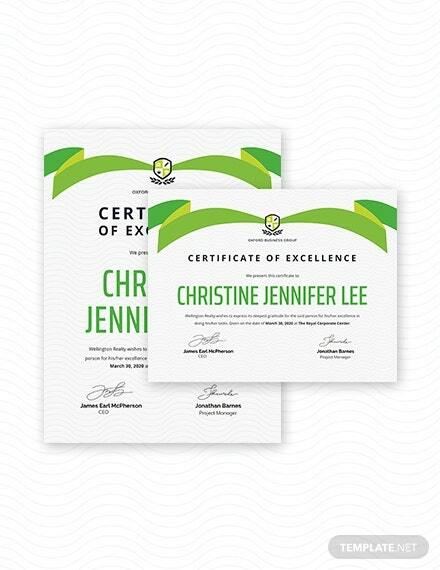 You can also see Team Certificate. 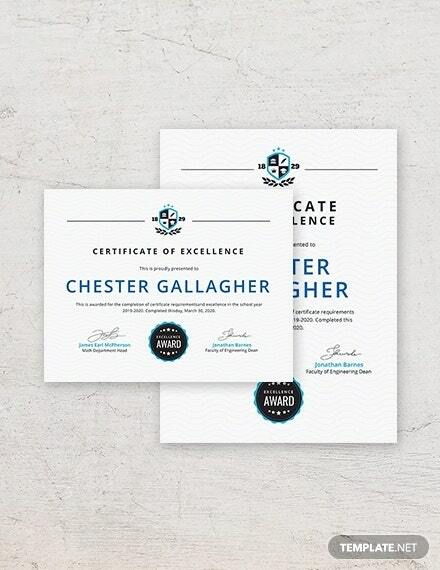 Depending upon the award ceremony or work sector the design of the template can vary. 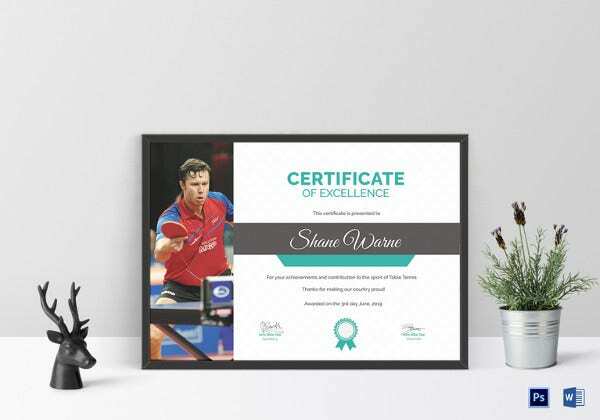 If the certificate is to be given for participating in competition then the design can vary to a certificate that has to be given to a friend as a gift for just being awesome. 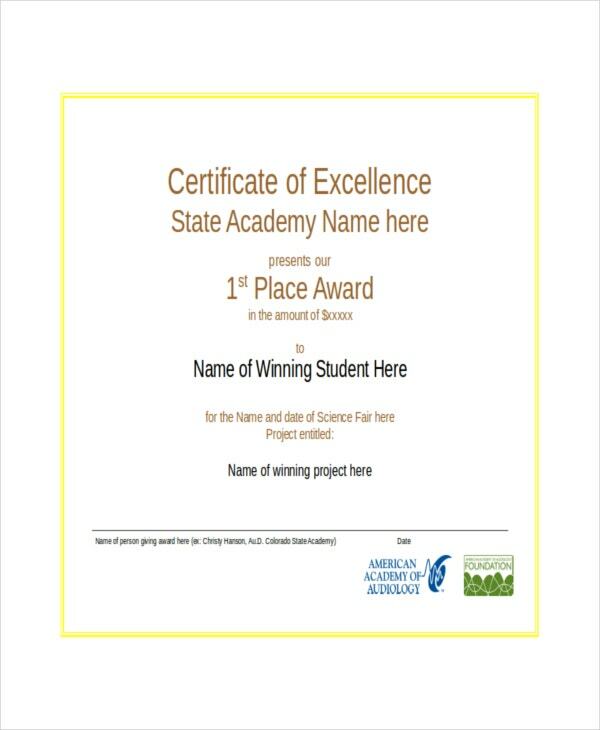 Both the templates have a different aim to reward with!